Understanding how Instagram stories work and how to use them to their fullest potential can help you reach more users and will make your business bloom. There are a lot of tutorials on the Internet on how to use this feature. But instead of wasting hours of your time, we decided to create this article based on those tutorials. Now, you may know how to use this platform, but you need the imagination to get the best stories out there. Don’t worry if you won’t succeed this with the first couple of ones; you will get better in time. Here we go! Grab your phone. It’s recommended to have a smartphone that has two cameras (for obvious reasons), but if it has only one, it will do. Access your Instagram application. If you don’t have it, then download it from Google Store if you are an Android user or App Store if you are an Apple user. Access your Instagram app. There, go to the upper left corner where you see a plus icon. Press it to begin the process. Once you accessed it, you can press your home button or the big button on your screen to take a picture or press it for ten seconds to record a short video. There is a “recycle” icon on your screen to switch between the rear and front camera and a flash icon to activate or deactivate the flash. Now that you’ve got your photo or video go to the upper part of your screen, where you will have three icons depicting three styles of doodling. You can add an emoji or change the photo’s filter. Combine the three options for a more interesting effect. After you’re done editing, press the check button or done and your Instagram Story will be live for everyone to see it. You can check who viewed your video by swapping up when you watch your story. This can be a valuable tool for your business because you will get an idea of your possible target audience. You can also block someone from seeing your story by pressing “X” next to their username. All Instagram Stories are available for 24 hours and after that, they will be deleted. 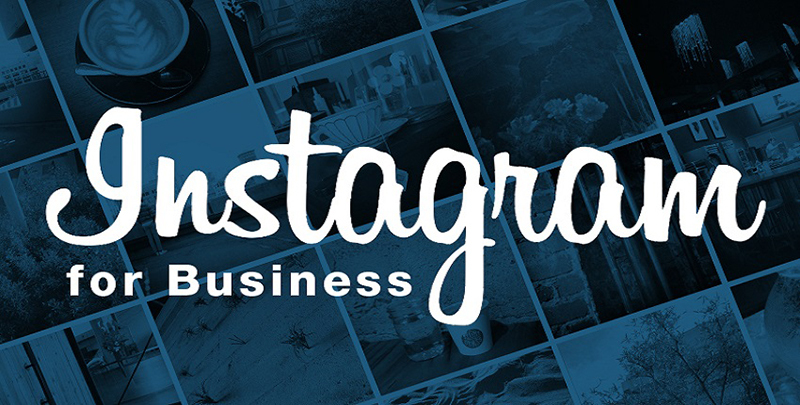 Why Should I Use Instagram for My Business? Isn’t Snapchat Enough? Snapchat could be sufficient, but let’s be real: for a business, “enough” is a dangerous word. Besides, Snapchat’s users are mostly teenagers, and the number of users is maybe a little above 150 million. Instagram has over 700 million users, and it can be easily used alongside Facebook. We recommend you to advertise your product on both of them for a greater effect or use only Instagram if you want to reach more people. How to Improve Your Instagram Stories for Your Business? The first thing you should know is that you need to mix your media. By that, we mean that an Instagram Story should be comprised of 60% photos, 30% videos, and ten percent Boomerang. Boomerang is an option where you shoot a couple of frames and results in a short video that goes back and forth. It’s a great trick to engage the audience. Of course, some people prefer using only videos or photos. After all, you must find what works best for your business. Just remember that your company needs to present the fun part, not the cold, commercial, non-engaging one. Do you want to know how a product sells? You can show other people how much fun you are having by using or creating that product and see the reactions. Every major brand is doing it for decades, and you should do the same. Of course, there is a lot of room for originality, so you will have a lot to experiment with. The main idea is to create a Story that will make any viewer feel your experience. Show them how you’re using that product, how useful it is, how other persons are interacting with it, etc. You can be creative in your method of delivering the information. Create a story or a joke and divide it in separate photo slides. Try to make a connection between your business and your followers. Sending simple photos of your product, without showing that human side won’t cut it. Instagram Stories last for 24 hours, and you can use that to create a sense of emergency. You can make a special offer, a giveaway through your Stories. It can redirect your user to your site, and he can get informed about your promotion and your business/products. If your product needs some time to be produced, you can take some photos or videos of how you create your product. You can make a great story out of it. A company will remain a “corporate” or “capitalist” entity for many people if you don’t show the human side of it. Create an Instagram Story about your staff, about you as a leader, joking and having a great time. Show that you’re a human just like your clients. Do a “behind the scenes” Story, so your followers will know more about the people who create their favorite product. Try hiring someone who can share Instagram Stories and much more on social media platforms. With your business knowledge and his social media expertise, you can achieve a lot more in terms of audience and sales. So, if you start using these Stories, your Instagram statistics might go up. You can also buy Instagram followers to increase the audience of your stories. Do you know other creative ways to make Instagram Stories? Let us know in the comments section.